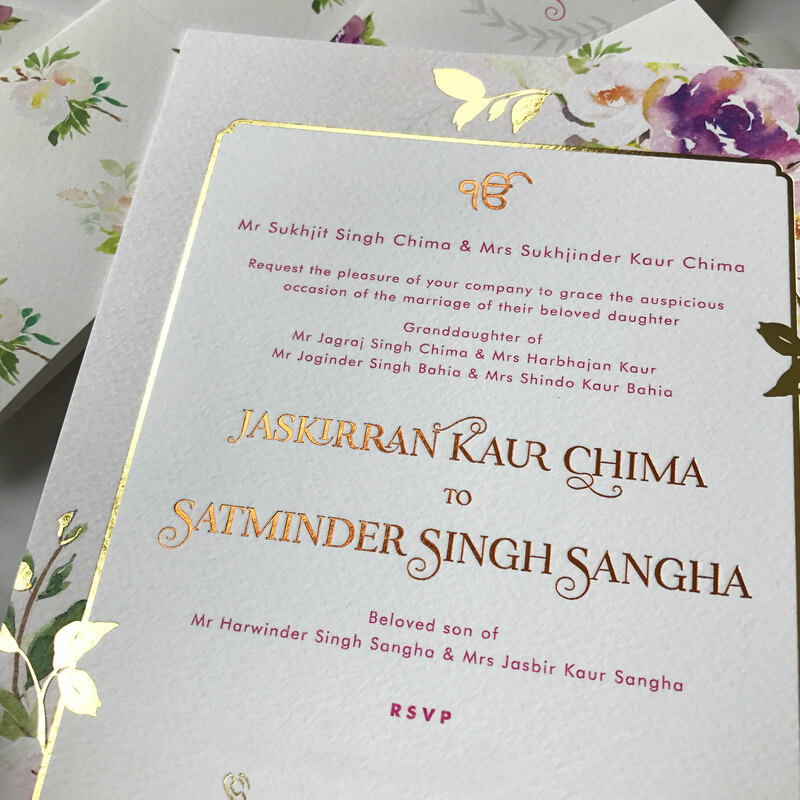 The whimsical petals wedding stationery suite can be customised to suit a full range of different cultural weddings. From the main event through to mendhi, walima, nikkah, sangeet, Indian engagement and more. 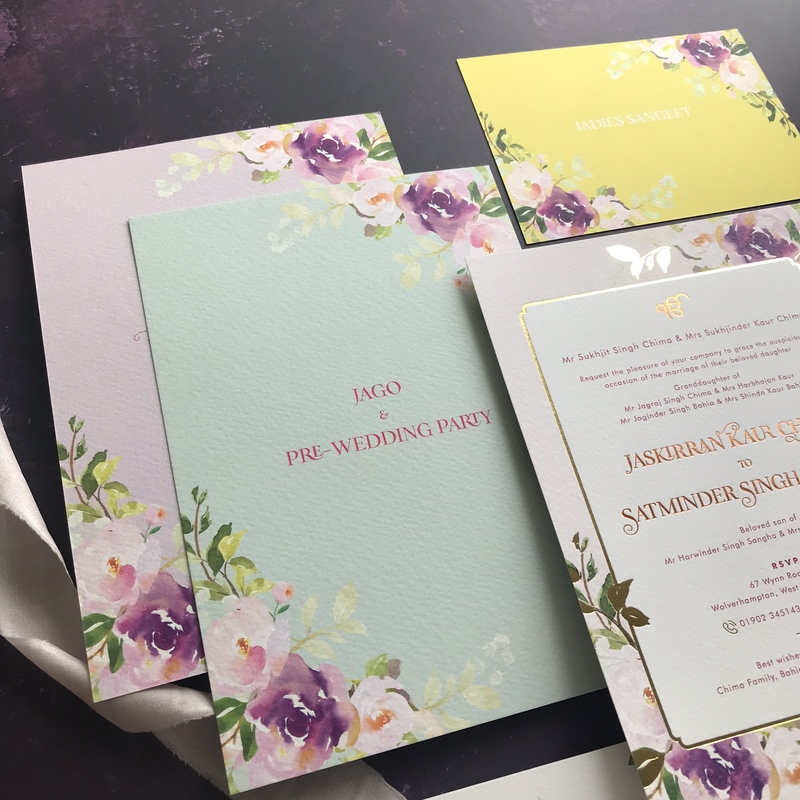 This suite is designed to capture the modern bride’s heart, with a muse of soft watercolour florals, against delicate pastel tones, for that fresh take on traditional Indian wedding invitations. 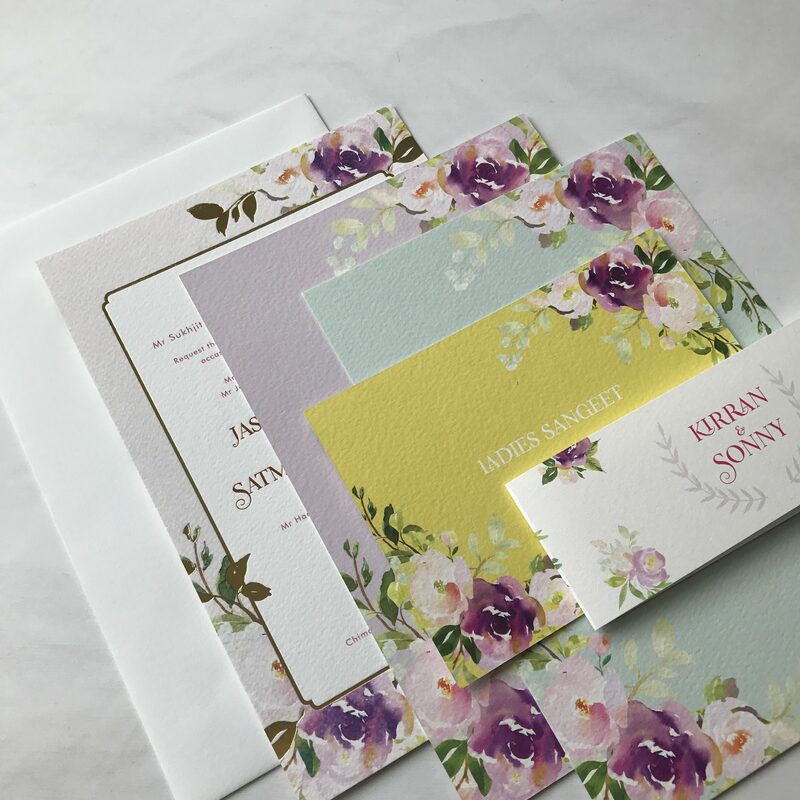 You can select items from the collection to suit your requirements, from the number of inserts to coordinating wedding day stationery all to fit your budget. On-the-day stationery can include table plans, table numbers, place cards, menus, drinks menus and any additional bespoke items.